Maine Logging History: From Stump to Ship. 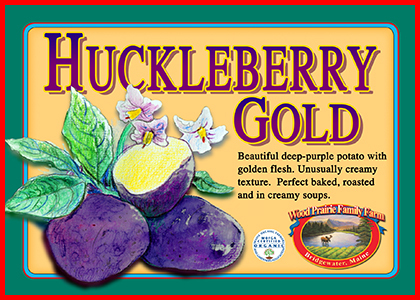 Special Offer: FREE Organic Huckleberry Gold Seed Potatoes. Starch Grains Advance in Potato Archeology. Notable Quote: Gandhi on Tyrants. Caleb Loading Potatoes This Morning. 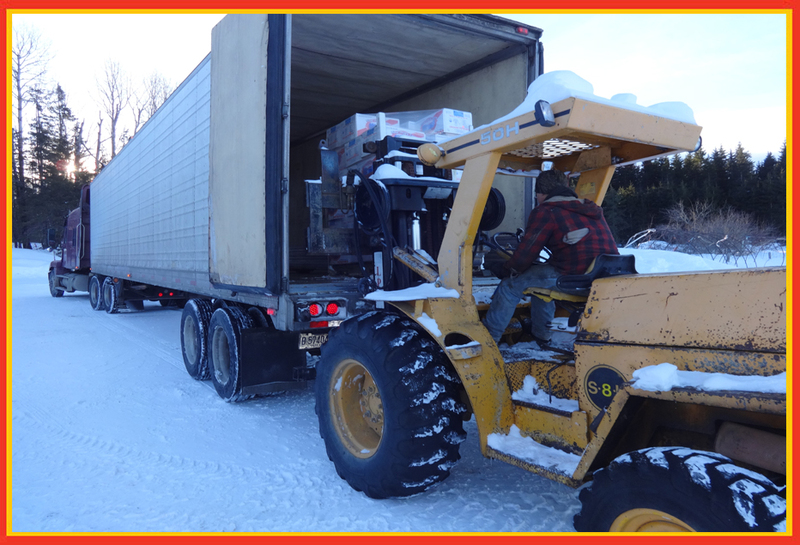 This photo was taken this morning - early - Caleb loading five pallets of our organic Maine Certified Seed Potatoes onto a truck headed south. It's still cold at night - last week we had several mornings in the -18ºF range, but with the sun rising in the sky the day's high temperatures bounces back pretty well. We've been back in the snow business here in Maine. Time again to shovel more snow off the roof here and there - amidst the work of shipping out a boatload of seed potatoes. From Stump to Ship. A rare find. .Maine Logging History: From Stump to Ship. Thirty-five years ago we first watched the remarkable film From Stump to Ship which documented logging in 1930 in Downeast Maine. At that time the long lost film was making its heralded premier in rounds across the entire State of Maine in a series of public viewings. In Aroostook County, the viewing opportunity was in the Weiden Auditorium on the University of Maine, Presque Isle campus. And it was standing room only. The film was made in the silent-movies era. It was a local effort to document an era of logging which a few visionaries rightly believed would be soon coming to an end. For many decades the film was misplaced and lost. That it was eventually re-discovered on a dusty shelf is only a part of the story. What is extraordinary is that when the film was finally found, it was securely attached to a printed script, designed to be read by a narrator as the silent film played. As you will see and hear, the detail provided by the script is what makes this modernized film so valuable. The narrator you’ll hear is Maine humorist and actor Tim Sample. A little known fact is that, despite his noticeable Downeast accent, Tim was born in the Aroostook County potato town of Fort Fairfield. Our friend Ginny Williams father, Frank Pelletier, a lifelong logger and former Legislator, was the emcee that evening in Presque Isle. After the showing, Frank took questions and comments from the audience. Several different people in the audience revealed that they recognized this individual - or that - in the film, as a relation of theirs who worked Downeast as a logger some fifty years before. Click here for Our Certified Organic Cover Crop Seed. One of the best new varieties we’ve grown and tasted in a long time is Huckleberry Gold. We’ve been planting Huckleberry Gold (blue skin and deep golden flesh) for several years now and we’ve come to respect its high culinary quality, reliability in the field and beautiful appearance. Here’s your chance to get a start this year with Huckleberry Gold. Earn yourself a FREE 1 lb. sack of our Organic Maine Certified Huckleberry Gold Seed Potatoes (Value $11.95) when your next order totals $59 or more. FREE Organic Maine Certified Huckleberry Gold Seed Potatoes Offer ends 11:59 PM on Monday, February 20, 2017, so please act now. Please use Promo Code WPFF405. Your order and FREE Organic Maine Certified Huckleberry Gold Seed Potatoes must ship by May 7, 2017. Offer may not be combined with other offers. Please call or click today! Huckleberry Gold. A wonderful new must grow potato for your garden. Origin of the Potato. Scientific advance. The importance of the potato is reflected by the fact that it is the fourth biggest human food crop following corn, rice and wheat. Potatoes semi-perishable qualities affect the people who eat them, the farmers who grow them and the archaeologists who wish to understand their impact on human history. Now a novel scientific technique - examining starch grains - is being deployed to determine where, when and how humans became involved with the potato. The New York Times reports. The early cultivation of potatoes seems to have been part of a larger shift at Jiskairumoko, from hunting and gathering toward farming and herding, he added. Around the same time, people started to build more complex houses, and the beginnings of a social hierarchy emerged. In 2008, a team led by Dr. Aldenderfer found a gold necklace from Jiskairumoko dating back to 2000 B.C., suggesting that an elite class had formed by then. Click Here for our Certified Organic Potatoes for the Kitchen. Organic continues to make rapid growth world wide – in the double-digits in many countries – according to a new report by world umbrella organization International Federation of Organic Agriculture Movements (IFOAM). Organic Seed Growers and Trade Association, for which Jim serves as president, is an active member of IFOAM and works on issues of importance to developing organic seed systems. The recently released IFOAM Report documents the impressive worldwide growth and strength of organic agriculture. The Report is chock full of statistics and explains the organic boom with twenty graphs and charts. Organic growth continues at a rapid pace - driven by strong consumer demand. Among the highlights are organic production is now practiced by 2.4 million farmers in 179 countries (up from 172) on almost 126 million acres of farm land. In eleven countries, 10% - or more - of farmland is organic. The three countries with the highest percentage of organic farmland are Liechtenstein (30.2%), Austria (21.3%) and Sweden (16.9%). Annual sales of organic goods now top $80 billion world wide, with half of those sales in the United State alone. Denmark has the highest organic market share at 8.4%. Strong Organic Growth Worldwide. Organic is growing in leaps and bounds. Heat the oven to 350˚F. In a medium bowl, whisk the flour, baking soda, salt, and cardamom. In a large bowl, using an electric mixer, beat the butter and both sugars on medium speed until light and fluffy, about 3 minutes. Add the eggs and vanilla, and beat until combined. On low speed, mix in the dry ingredients until combined. Using a wooden spoon, fold in the oats and dates until evenly distributed. 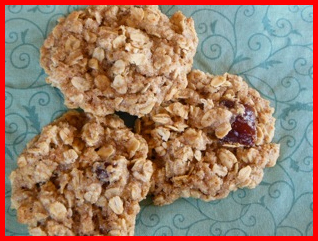 Drop rounded tablespoons of dough about 2 inches apart onto two ungreased cookie sheets. Bake, rotating the sheets and swapping positions halfway through, until the cookies are firm and golden, 8 to 10 minutes. Transfer the sheets to cooling racks and let sit for 5 minutes. Transfer the cookies directly to the racks to cool completely. Repeat with the remaining dough on cooled cookie sheets. Makes about 40 cookies.